Joyce P. Scarborough, 74, of Punxsutawney, PA, died Wednesday, September 5, 2018 at the Jefferson Manor in Brookville, PA.
Born May 21, 1944 in Brockway, PA, she was the daughter of the late Robert Preston and Violet (Clark) Preston, she survives at Jefferson Manor in Brookville, PA.
Joyce was a graduate of Brockway Area High School. She married Thomas Neil Scarborough Jr. on October 14, 1964 in Arlington VA, he survives. She was a homemaker. Joyce was of the Methodist Faith. She belonged to Quilters Chat and Sew of DuBois, PA. Joyce enjoyed quilting, crafting, knitting, stained glass projects, making bookmarkers for charitable organizations, and gardening. 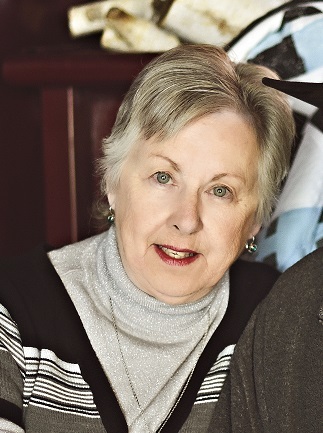 In addition to her husband Joyce is survived by a two sons, Neil Scarborough and wife Kathy of Brownsburg IN, Gary Scarborough of Raleigh, NC; a daughter, Tammy Carulli and husband Tim of Punxsutawney, PA; five brothers, Rodney, Regis, Reed, Ross, and Roger; two sisters, June and Janice; four grandchildren, Stephen, Andrea, Tommy, and Jaime; and two great-grandchildren, Logan and Rhylee. In addition to her father she is preceded in death by a brother, Rocky. Per the family's wishes, there will be no public visitation. Funeral arrangements have been entrusted to the Furlong Funeral Home, Gregory K. Furlong FD, corner of Broad St. and First Ave., Summerville, PA.
Joyce's Interment will be at Arlington National Cemetery.